Our basic purple cup with blue glaze is also available in our spring colours. Choose one of the two colour samples on the right to see how the glaze creates a different hue with the purple porcelain. Create your own tableware with your desired colour combinations. 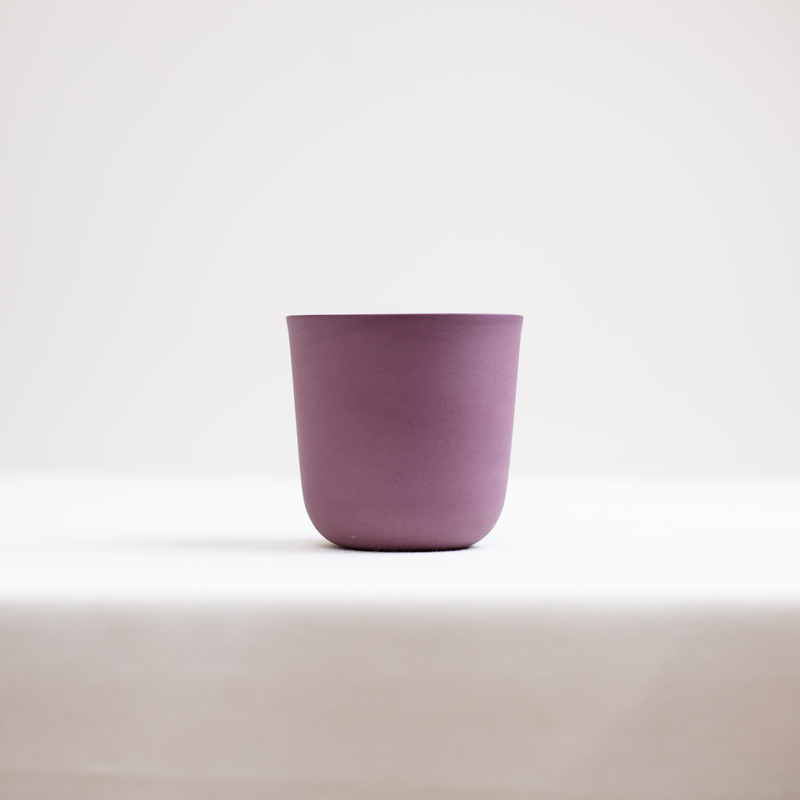 This purple porcelain cup is 8,5 x 8,5 x 8 cm and holds 200 ml. All our products are handmade. Slight variation in shape and glaze application can be expected. Colours may vary slightly due to positioning in the kiln. Stacking these products is possible but might impair the shine of the glaze in time.